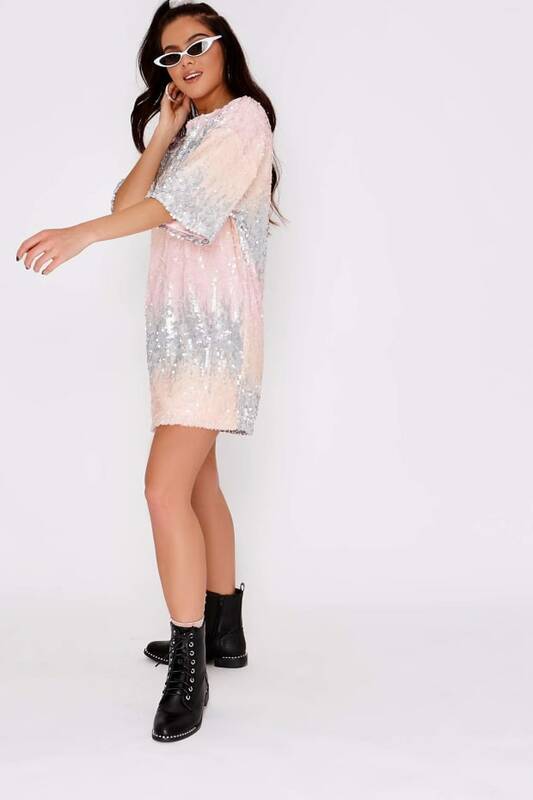 Girl look like a total show stopper on your next night out in this incredible oversized sequin t-shirt dress from Pia Mia’s collection! 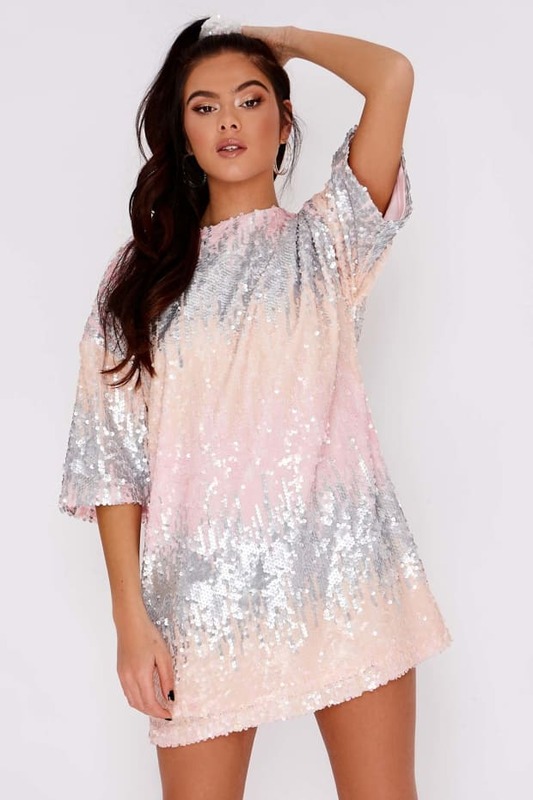 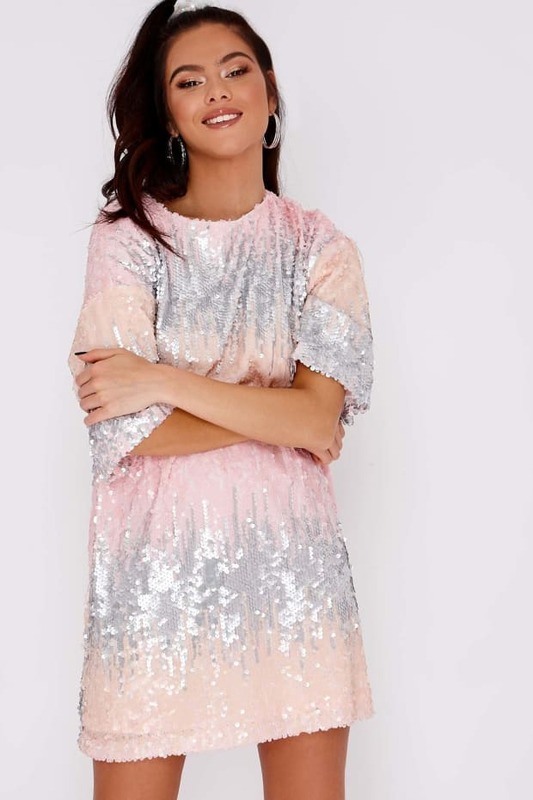 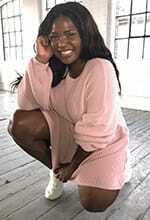 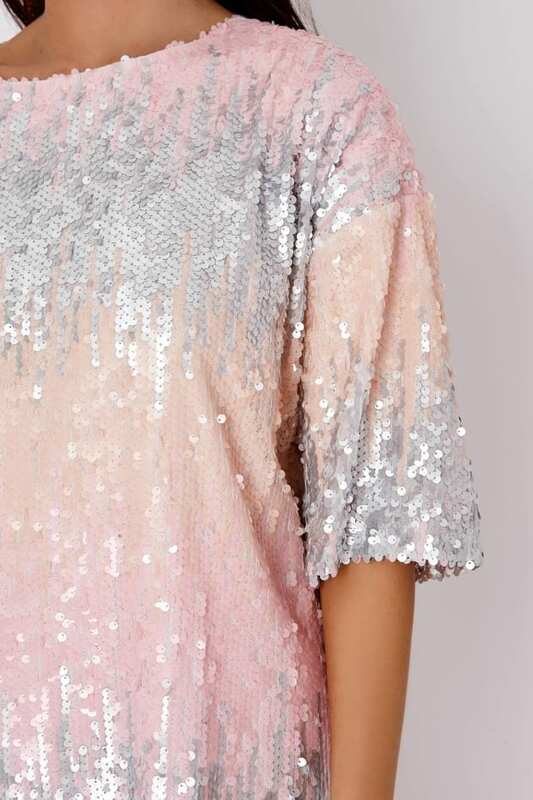 With pink ombre sequin detail, this beaut mini will have all eyes on you! 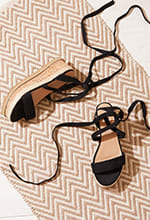 Team with boots, sunnies and hoops for a bang on trend look you'll just love.